Every Christmas, Boots brand Soap and Glory creates a limited edition beauty gift set, called the Star Gift, containing a handful of their full-size products. But this year’s ‘Star Gift Set’ has proved even more popular – with its waiting list reaching a record-breaking 140,000 sign ups. The waiting list for Bubble Act ,has only been open for 2 weeks but its popularity has soared over the years, with many of us wanting to make sure we can get our hands on it. 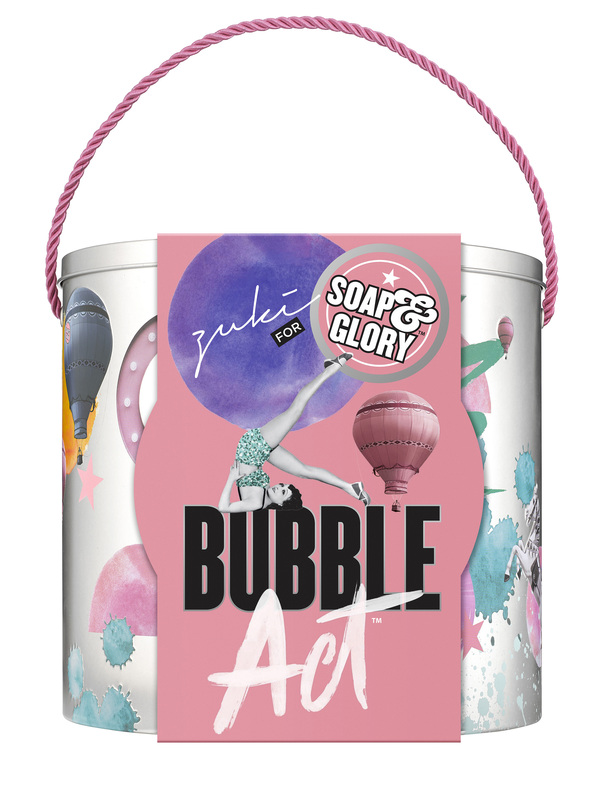 Bubble Act contains a 12 full-size Soap & Glory products, worth £80, including a number of the brand’s best sellers and is set to be on sale for just £30 from this week – such a bargain! Bubble Act has beat more records too. It has officially received the highest number of sign ups in Boots history, even beating records from some of the biggest beauty brands. If you haven’t already signed up, then there is still time to sign up to its waiting list. If you do, like all of the others on its waiting list, you’ll get access to buy the gift online from today, rather than on Friday morning, when it launches to everyone else. This year’s gift, which is available in store and online, contains some full size favourites from their their range, including the The Righteous Body Butter, Clean On Me Creamy Moisture Shower Gel, The Scrub of Your Life Smoothing Body Buffer, Peaches and Clean Deep Cleansing Milk and also its Thick and Fast High-Definition Collagen-Coat Mascara in Black. Graphic designer Zuki Turner has this year created the packaging, which combines her collage aesthetic with Soap & Glory’s Christmas 2018 circus theme and signature vintage ladies. If you fancy getting one of these bargains, for yourself or as a last minute Christmas present you better be quick – as the limited edition Star Gift will no doubt go quickly when it has launched. From our sister site Woman & Home, written by Sarah Finley.